How often do you take a meaningful break at work? We all experience periods of time in our personal and professional lives that are busier than others -perhaps a series of key deadlines at work, moving to a new house, or expecting children or divorce in your personal life. There are generally also times that are quieter and we have the chance to relax a little and recharge our batteries, but would you notice the signs that suggest you are not getting the down time you need and that you really are overworking? Perhaps you are already experiencing them. 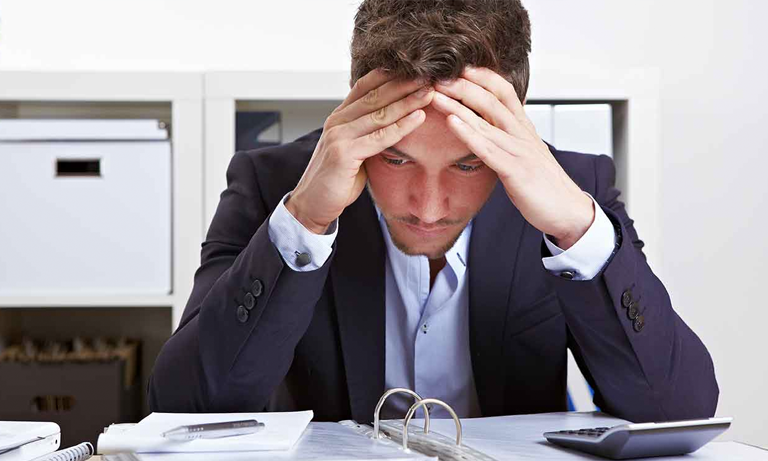 Stress is often referred to as the silent killer, mainly because the symptoms creep up on you without you realising. You do not suddenly get one symptom that flags up straight away as stress; instead, a variety of smaller and often seemingly inconsequential signs appear over a period of time. Signs such as headaches, a metallic taste in the mouth, anxiety, extreme tiredness, dizziness, nausea, feelings of depression, gaining weight and brain fog can all suggest that you need to slow down. If you already have a pre-existing condition, it is even more important that you take these signs seriously, as overworking and stress can really exacerbate the symptoms and speed up the onset of more severe stages. We have all heard stories of the overworked executive or entrepreneur working 100-plus hours a week, or the funky young tech startup company where 20-somethings sleep on the office floor. It is easy to say ‘That’s not me’, but take a harder look. When you say you only work Monday to Friday, do you mean that you only go to the office Monday to Friday but take a briefcase full of work home with you at the weekend? How often do you take a meaningful break at work? We might like to think that it makes us look good to the boss if we are on hand all the time; in truth, this is not what make us good at our job. It is hard to miss a deadline or revenue target at work, of course. This can make us feel inadequate and incompetent, but is it really the end of the world? If the worst happens and your health is either seriously impacted or even cut short, who will remember the missed deadline or target? Sometimes we need to ask ourselves hard questions. Perhaps we are putting undue stress on ourselves simply by feeling that we always need to be in control when, in fact, we should be delegating. Perhaps you even need to ask yourself whether you are in the right job if you can’t meet your key objectives without putting yourself through the ringer. Our health is the one thing that it is difficult to get back once it has gone. Time for ourselves and our loved ones is ultimately more important than any deadline or target. If you are experiencing any of the symptoms mentioned above, perhaps it is time to re-evaluate your work/life balance before it is too late. Very nice blog for the ever useful for the readers you can need to connect the latest fee online spider card game i have to most fun to play this amazing online card always most famous in the worldwide so thanks for the share great thought.